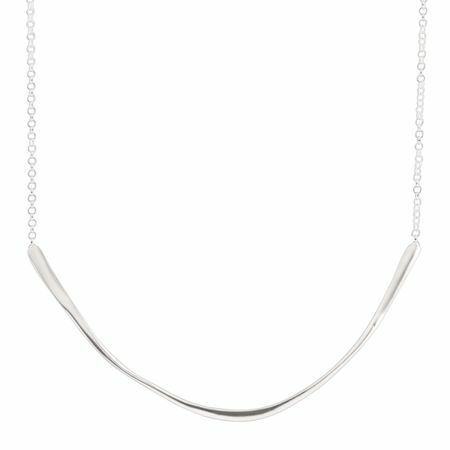 The simply chic Expressions Necklace features a minimalist design with irregularly-textured sterling silver, allowing your personality to shine through. Feature piece measures 1 1/6 by 3 1/8 inches. Necklace measures 17 inches long, plus a 2-inch extender for adjustable length, and features a lobster clasp.